In the autumn of 1582, in accordance with a proclamation by Pope Gregory XIII, the day after Thursday, 4 October, would be Friday, 15 October. For the Roman Catholic world, the intervening ten days were removed from the calendar and never took place. The reason had to do with leap years and with Easter. Adding a day to the end of February every fourth year worked well to keep the calendar aligned with the astronomical year. But it was still slightly off, (by about eleven extra minutes per year) and over the centuries, this slippage in the calendar was causing the date of Easter to fall a little earlier and farther away from the traditional spring equinox date. Various gradual measures were considered, but in the end, it was decided to make up for the discrepancy all at once; the ten extra days accumulated over the millennium were deleted from the calendar. In addition, new rules were added for ‘leap centuries.’ This effectively fixed the problem. Other parts of Europe eventually adopted the changes, some sooner than others. In France, 9 December 1582 was followed by 20 December. A letter sent from Italy to France in November of that year might well appear at its destination with a date that would not occur locally for several days, seeming to arrive before it was sent. In the Netherlands and Germany some provinces made the changes while others held out until 1700. Protestant countries did not generally adopt the new system until much later. Britain and her American colonies did not make the change until 1752 by which time the calendars were out of synchronization by a full eleven days. When the Calendar was adjusted in Italy, Antonio Neri was six and a half years old; hardly old enough to remember the event. However, he must have experienced some of the strange side effects in his adult life, especially when traveling. In making the journey to visit Emmanuel Ximenes, in Antwerp in 1604, if our priest stuck to the route suggested by his friend, he would have remained in Catholic territory until the very end of his journey. Once in the Low Countries, the date of the month would depend on the city. In Protestant controlled regions, like Utrecht, the date would suddenly jump backwards by ten days from nearby Catholic regions, although the days of the week would be consistent. Anyone crossing the English channel, from Calais France to Dover, for example, would experience a similar effect; it might be early May on one side and late April on the other. In such a crossing, one would have the disconcerting ‘Déjà vu’ experience of living the same date range twice, once as Monday through Friday, for example, and then again as the following Thursday through Monday. 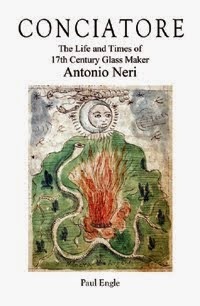 For close observers of nature, like Neri, these incongruities might have emphasized the difference between the natural world and the contrivances of man. Subtle as the distinction may seem, April does not so much signify the rebirth of our gardens, as the rebirth of our gardens is what we have come to call April; a foreshadowing of philosopher-scientist Alfred Korzybski’s premise that “the map is not the territory.” Fundamental to observing nature clearly is recognizing our own representation of it. Note: I was not satisfied with the technical explanation in this post, so I have rewritten it. see 3 October 2014.